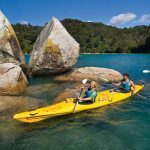 With beautiful golden beaches, blue-green sea, bush walks and sea kayaking you won't want to leave the stunning Abel Tasman National Park. 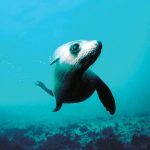 On arrival, please collect your rental car and make your way to Marahau. 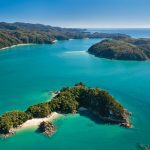 Marahau is located about an hour’s drive from Nelson and is a great base to explore the Abel Tasman National Park with its numerous marine, wildlife and nature based activities. 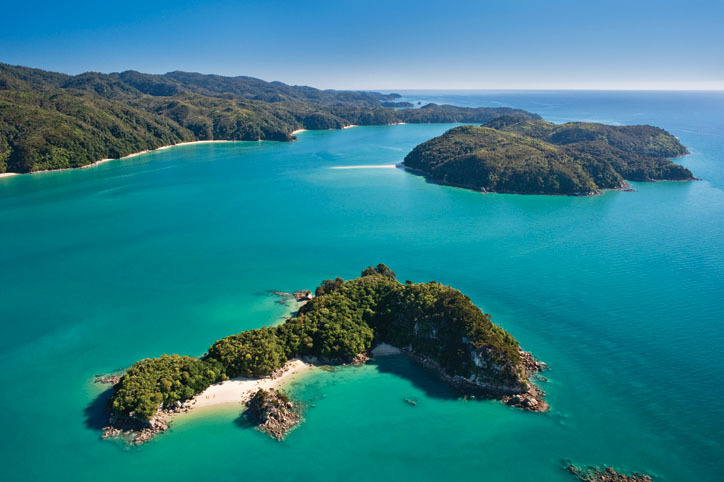 Your stay is at the Ocean View Chalets in Marahau at the southern entrance to the Abel Tasman National Park. These beautiful, natural timber chalets are set on an elevated position on a 50 acre farmlet in a peaceful bush setting with panoramic sea views. 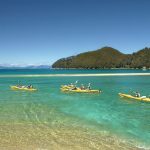 Each chalet provides you with self-contained accommodation but is located close to the local restaurants and cafes in Marahau. The rest of today is at leisure to enjoy the local sights. 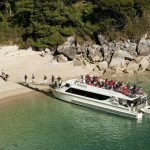 Drive the short distance from Marahau to Kaiteriteri Beach, the starting point for your Swing Bridge, Bush and Beach cruise and walk. 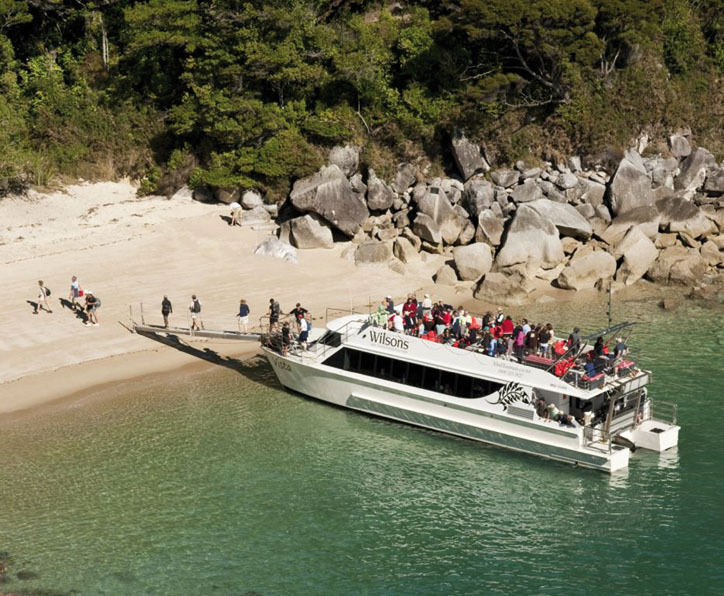 Cruise into the heart of Abel Tasman National Park, pausing at Anchorage to view your destination. 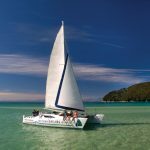 Continue to Medlands Beach where you disembark. 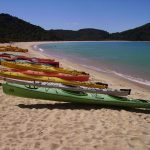 Walk the most varied section of the Abel Tasman Coastal Track, around the spectacular Torrent Bay estuary to the golden sands of Anchorage Beach. 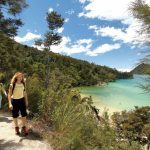 The track weaves through sunny groves of Manuka and fern between breathtaking views of the granite coast as well as lush gullies of mature forest, to reach tranquil forest pools (maximum elevation 105 metres / 340 ft). Cross the rushing Falls River by an impressive swing bridge. 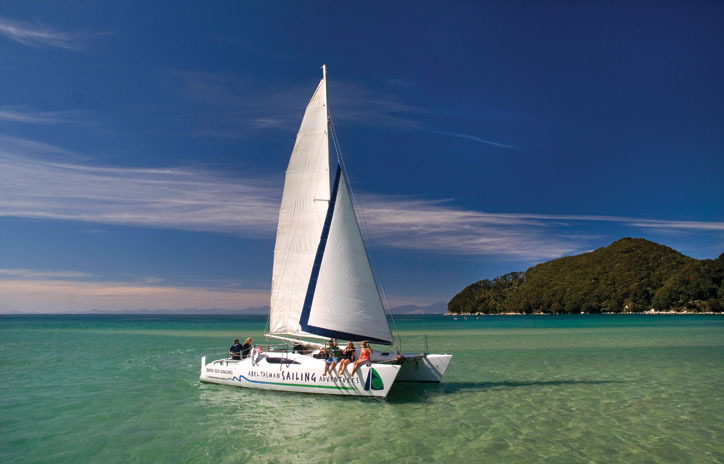 At Anchorage rejoin your boat and cruise back to Kaiteriteri arriving at 5.45pm. 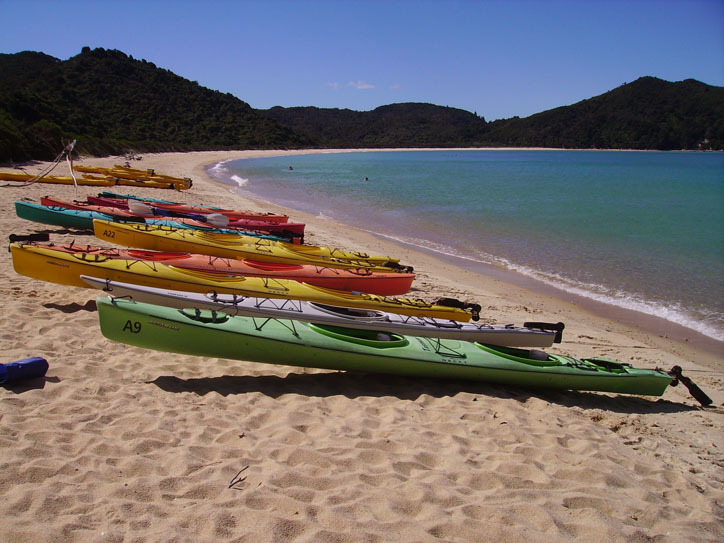 Another full day exploring the Abel Tasman National Park by kayak and on foot. 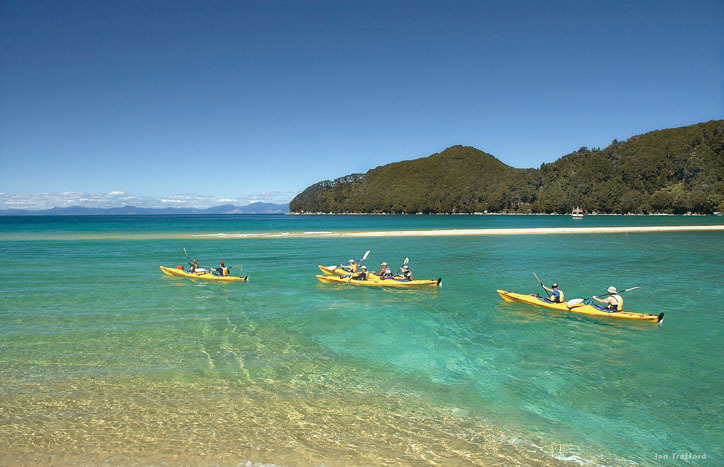 Embark on your guided kayak adventure from Marahau to Observation Beach. 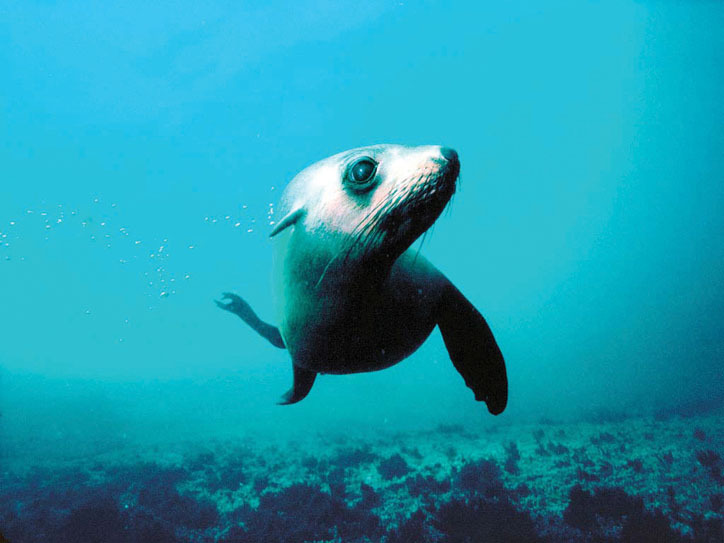 You will catch glimpses of the coastal track and experience up close the magic of the Astrolabe Islands. 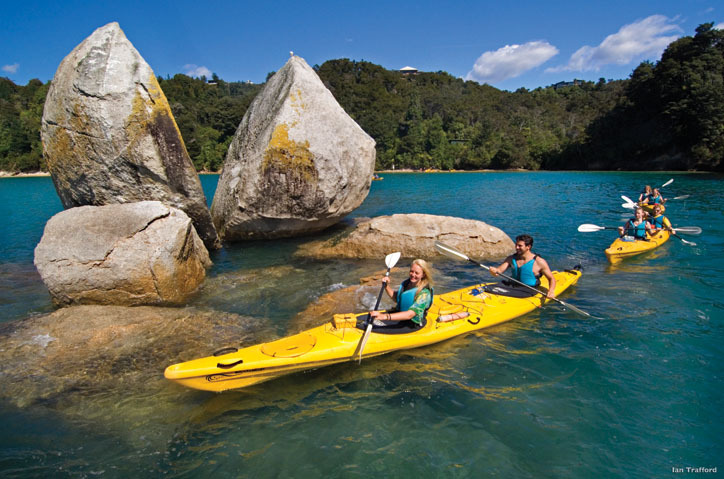 Once finished enjoy a great lunch before swapping your paddle for walking shoes. 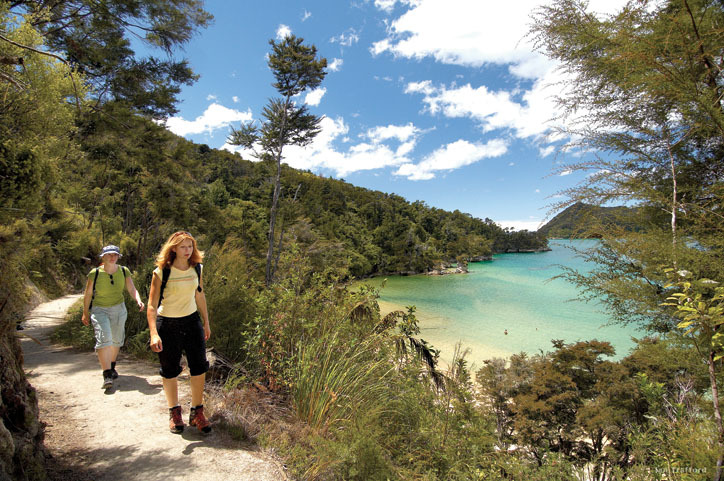 Discover clear streams, native bush as well as incredible views over Anchorage and the Astrolabe.